You could win some space swag just by throwing a party next month. Space lovers around the world are getting ready to revel in the excitement of human spaceflight on Yuri's Night, April 12. This year, the celebration's organizers will hold a "catalyst" competition, promising to give out prizes for a host and a catalyst that spark awesome cosmic parties. "I'm always excited and surprised by the unexpected events that register in obscure locations (like Batman, Turkey last year!) or that have unique celebrations," Ryan Kobrick, executive director of Yuri's Night, said in an email. "We've had tea ceremonies, weddings, messages from the South Pole, ISS and Mars, and of course your good old fashioned dance party!" Kobrick himself will be leading a pub crawl through Cape Canaveral in Florida for this year's celebration. Yuri's Night launched in 2001 and started with 64 events. Last year, there were more than 300 parties around the world. So far, there are over 50 registered events this year, but Kobrick expects that number to rise over the next month. For a shot at winning the Yuri's Night "catalyst" award, you need to find a city without a party scheduled and encourage people in the area to host a Yuri's Night event. Make sure the host mentions you when registering the event. The Yuri's Night organizers will also give out a host award; for a chance at winning, you need to write a few sentences describing your event with photos or videos and post to Yuri's Night Live website. "This contest allows us to address our biggest area of need: reaching out to people around the world and helping them register," Kobrick said. 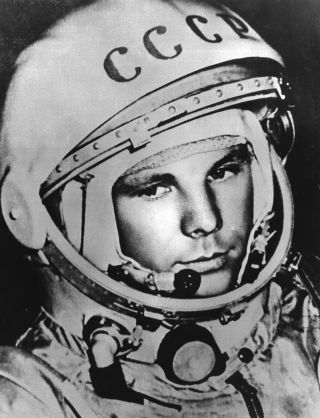 "Yuri's Night allows anyone to celebrate human spaceflight in their own way. We learn about each others cultures and customs and truly come together to celebrate our future in the cosmos." The prizes, provided by Space.com partner collectSPACE.com, will include space-flown items and autographed memorabilia. "We're thrilled to partner with Yuri's Night in getting people excited about the history of spaceflight," said Robert Pearlman, editor of collectSPACE.com. "We've lined up some great space-flown memorabilia to offer as prizes to those who help us spread the word — and celebrate — the World Space Party."